BBC iPlayer tops 114 million requests in July | What Hi-Fi? The number of requests was significantly higher than in July 2009, with 68 million requests for TV programmes and 27 million for radio broadcasts. Requests on Virgin Media were up to 19 million. On-demand makes up the vast majority of TV programme requests (with only 10% of requests in July for live TV simulcasts). However, about 68% of requests for radio streams were for live programmes, as opposed to on-demand catch-up listening. 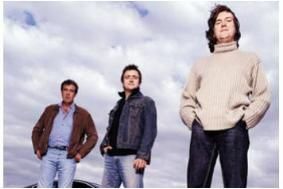 The most requested TV show for July was Top Gear, with certain episodes hitting more than one million requests each. New BBC One drama titles also performed well, as did comedy and the start of the BBC Three Adult Season. Live TV viewing via the iPlayer fell back to more normal levels after the World Cup finished.